What is Pingomatic? How To. . .
What is pingomatic? Fastest Way To Index In Search Engines? Before getting into the real stuff let understand what is ping so that you can have a better understanding of the term PINGOMATIC. “Pingomatic” is one of the best tools which will help you to index your blog fast in multiple search engines in a single click. 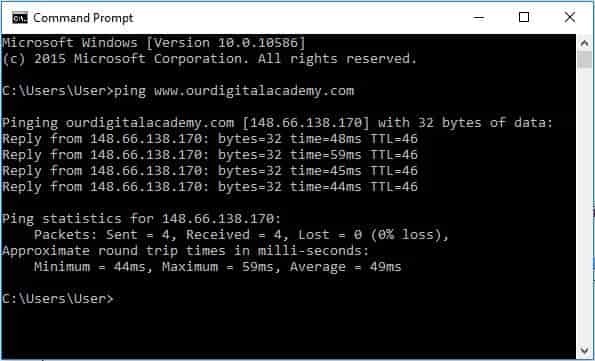 Technically we can say ping-o-matic is a service which notifies multiple search engine that your website is updated (you have published a new article). Most of the bloggers and SEO experts recommend this tool to index their fresh content URL faster it is one of the essential tools which will help you to get recognized by multiple search engines in fewer time frames. Now the question is why it is important? Let’s understand this with few simple and real-time example. Why it is important to use pingomatic? Pingomatic will help you to get organic traffic. Let’s take an example that today you published a fresh article to your blog and started doing SEO on that particular URL on different digital channels like Facebook, Twitter, Stumbleupon, forums, web 2.0 submission, and so on. But all these activities will not tell the search engines that you have published a fresh article on your blog. It’s our job to send a notification explicitly to the search engine and tell that “Hey Google” I have published this article today and here is the URL of the article please keep it in your directory. So that if any user is looking for this Google or any search engine can show this article in the search result. So far we understood what ping o matic is and its importance now let’s understand how it works so that we can have a clear picture. Rather than getting into the technical flow of pingomatic, let’s understand in easy terms. 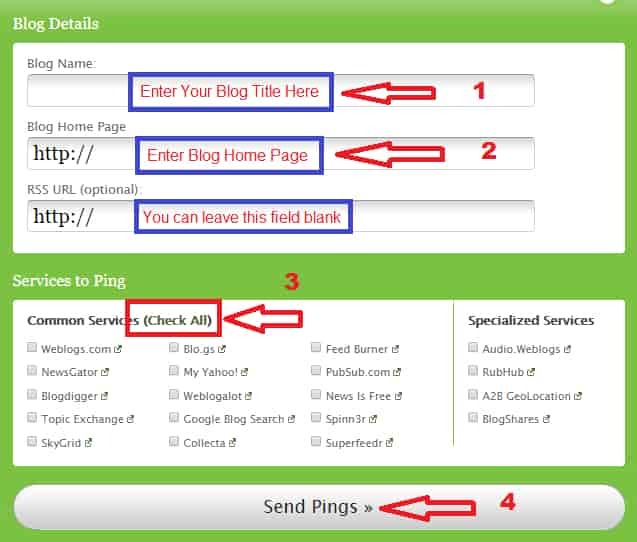 When we submit our blog URL using Ping-o-matic, it sends multiple pings to search engines. It tells the search engine “this website (Your website URL) has published a new article” come and crawl this website. And then the search engine bot comes to your site and crawl the page and index the new URL. Verify what you have done is working perfectly or not? Here is the step to verify and confirm that your newly published URL has been indexed or not in the search engine. You should be able to see your fresh/new article in the search result (usually it take less time to crawl the website so once you have performed ping then wait for few hours and then check. Your new article must appear in the search result either on 1st/2nd Page. Using Pingomatic is very simple, even you are a beginner you can do in a few minutes. If you have created backlink on any article it will help you to index those as well. No need to visit multiple search console to submit your fresh URL. Watch How To Use Pingomatic.